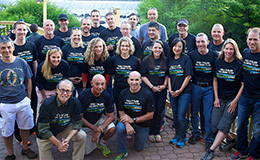 Inspired Performance Multisport was founded by Chuck Graziano. Chuck has over 25 years of coaching experience, producing some extraordinary results ranging from entry level to elite level, seasoned endurance athletes and Ironman World Championship competitors! 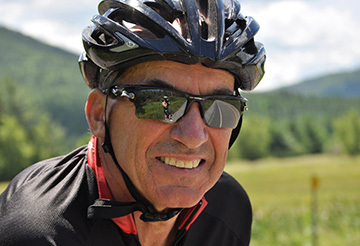 Chuck is certified by USA Triathlon as a Level II Coach, by USA Cycling as a Level III Coach, by Training Peaks as a Level II Coach and by the Professional Ski Instructors of America as a level III Alpine Ski Coach. He was Head Triathlon Coach for Team in Training (NJ) for 12 years and is member of the national Board of Directors of USA Triathlon. He is an author and speaker on training, racing and motivation, and has been certified as an executive business coach. 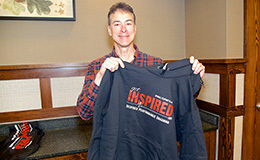 Chuck has been an athlete since high school and has run several marathons and dozens of road races. He became involved in the sport of triathlon in 1985 and since then has competed in over 230 races (including 16 Ironman races). He has been a member of Team USA and competed in the Long Distance Age Group World Championship and the Olympic Distance Age Group World Championship. Chuck has a BA from Fordham University, a Masters Degree from New York University and is a veteran of the US Marine Corps.